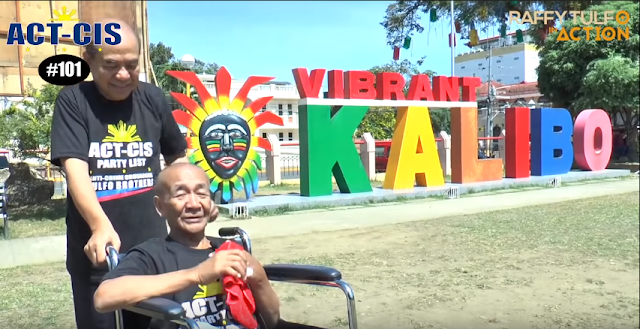 After this episode of Raffy Tulfo's Aksyon sa Tanghali, there wasn't a single dry eye in the room. Even Raffy Tulfo could not hold his emotions back upon realizing the miracle that was happening right before him. You see, it started with a single post. A netizen from Antique chanced upon an old man who was injured and living in a shack. The netizen decided to post photographs of the man on Facebook, in the hope that his relatives would recognize him and deliver help to the man in need. By some grace of God, the elderly man's niece actually recognized the old man. 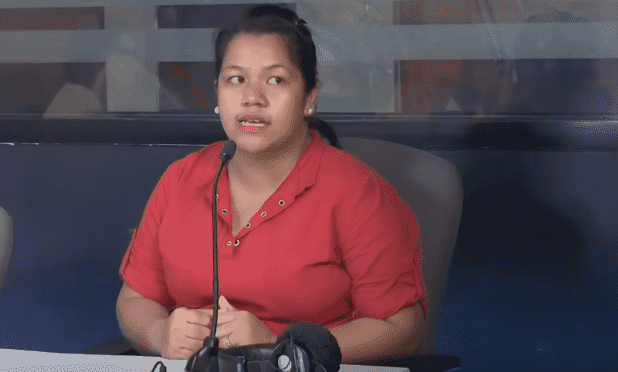 She immediately approached Raffy Tulfo's public affairs show to identify herself as a relative of the man. She said the man was named Rogelio Diones, the brother of her father, Ruben Diones. 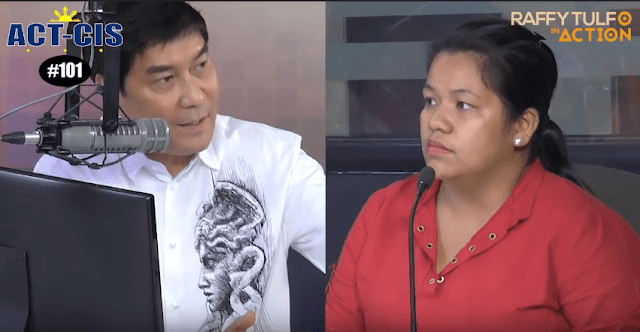 Right then and there, Raffy Tulfo got both Rogelio and Ruben on the line, to talk. They revealed that they have not seen each other for forty long years! Tulfo wasted no time in organizing a trip to Antique. Not only did he make sure that the brothers get the reunion they need, he also ensured that Rogelio will get enough medical attention for his needs! Soon enough, Rogelio and Ruben finally ended up in each other's arms. 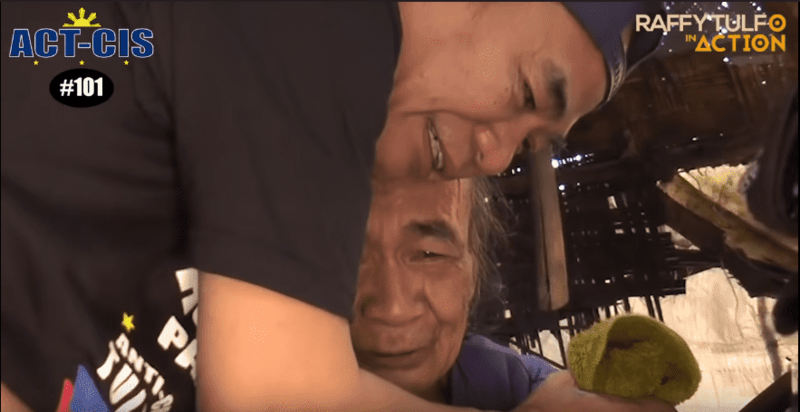 Even Raffy Tulfo's staff and cameramen could not hold back their tears while witnessing this unbelievable moment. They rescued the old Rogelio from his poor shack, and immediately scheduled an appointment with a doctor to make sure he was in perfect health before transporting him back to Manila, where he would be living with family members and loved ones, after such a long time of living all alone. The Aksyon sa Tanghali staff soon learned that Mang Rogelio actually possessed a jolly spirit as he started to joke around and have fun! It was still a tender and emotional moment for everyone involved, though. So, we now put you up to a daring challenge! 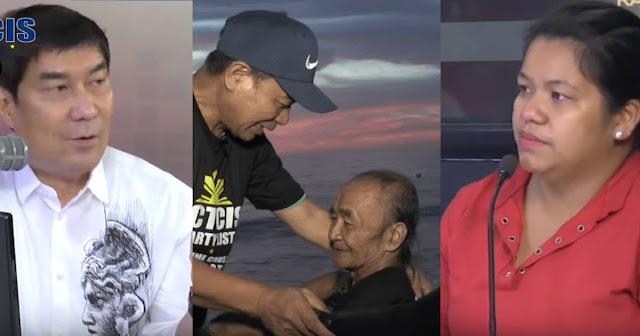 Try not to cry as you watch the two-part episode of Raffy Tulfo's Aksyon sa Tanghali which reunited brothers Rogelio and Ruben Diones.